I'm a big fan of the ever so popular trend of stylized vinyl products out there right now. From Vinylmation to Mighty Muggs to Funkos, I love them all! 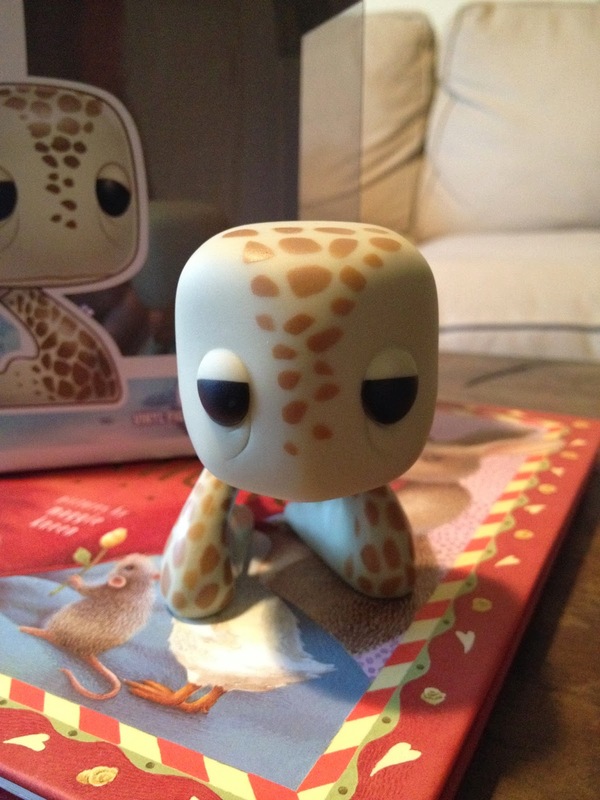 When I saw a couple months ago that Funko was making four Finding Nemo POP vinyls, I couldn't wait. I love the designs of these guys, especially Crush! It's so fun how they designed him to stand up (with perfect balance, I might add) on his fins. I love the chill "chill surfer dude" expression they went for as well. 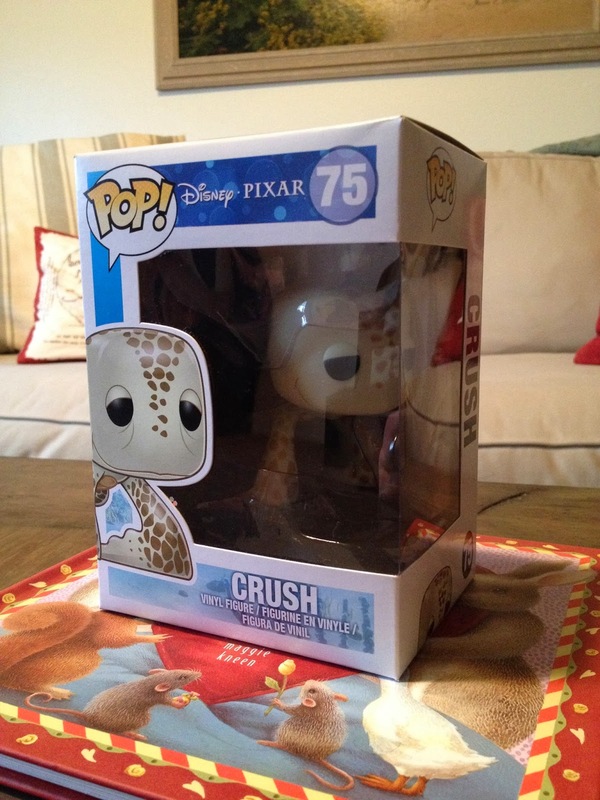 This is my first of the four Nemo Funkos released. I can't wait for the rest! 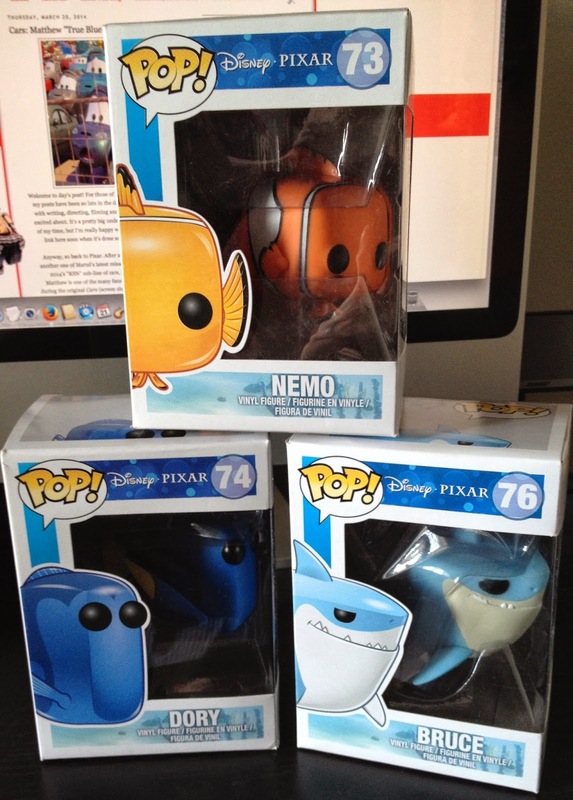 The other three include Nemo, Dory and Bruce...look for those right here coming soon! 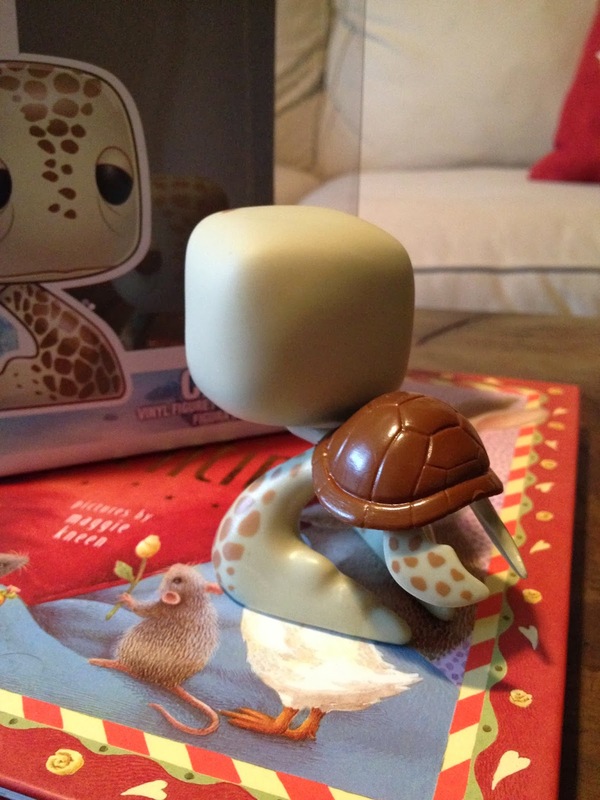 If you see these, especially if you're a Finding Nemo fan, you have to pick them up! You will love them, for play or display. A BIG thanks to my wife Brita for this; what a fun surprise! Look for more of my Valentine's Day surprises here on the blog over the next few days. 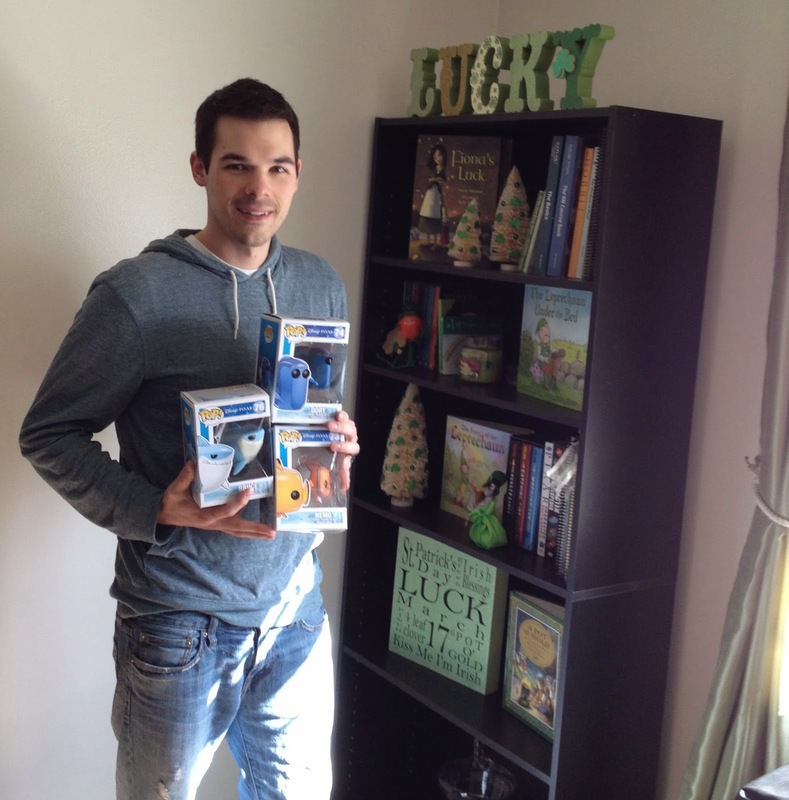 For St. Patrick's Day presents a few days ago, my awesome and thoughtful wife Brita hooked me up with the last three Finding Nemo Funko POP vinyl figures that I needed to finish off the collection! Normally, the requirement for a St. Patrick's day gift is that it has to have some kind of green in but I justified that these are great for the holiday since Marlin was very "lucky" to have found Nemo. As usual, these are great designs and look great on display. Nemo's "lucky fin" is a great detail and I especially like the way they did Dory. These are really fun pieces that I recommend for any Pixar, Disney, or Finding Nemo Fan! Again, a big thanks to Brita for these great presents. My Pixar Funko collection is just about complete! What a great gift, I hadn't seen these yet. Thanks Tiffany! Yah you'll definately have to pick these up sometime for the kids...especially if they love finding nemo!